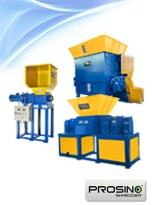 Shredder is a piece of equipment that does rough size reduction for various materials. 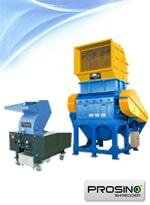 Single Rotor Shredder and Dual Shear Shredder feature PLC control and automatic. 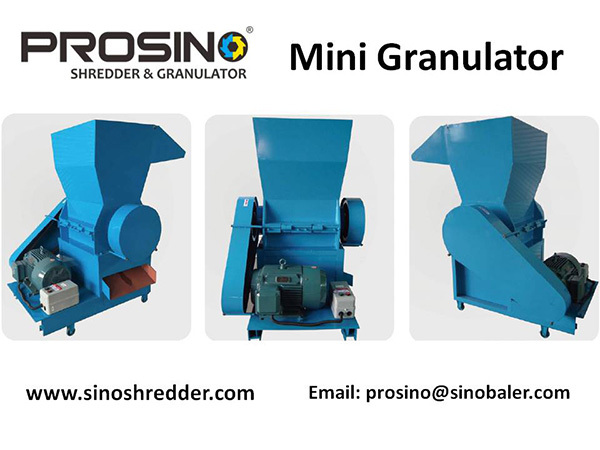 Granulator, also known as crusher or grinder, is a size reduction machine used for granulating various waste materials into small and uniform particle sizes. It is widely used in plastic. The Integrated Shredding and Granulating Unit is a piece of bi-task equipment that does both shredding and granulating work in one machine. Sinobaler Machinery, a pioneer in the waste recycling market, supplies industry-leading, cost-effective waste reduction equipment covering balers and shredders. From standard alone vertical presses to fully automated horizontal baling lines, from small granulator to top-force shredders, we offer a complete range of baling and shredding machinery. Top brand hydraulic components, smart design, durability, and affordable prices make our machines stand out among similar waste reduction machines, turning your waste into a new source of profit. Be ready to witness large savings on recycling and waste removal costs, our waste specialists work around the hour and across the globe to bring you considerate after-sales service, strict quality standards and long term value for your most challenging waste handling projects. Contact us now and our engineers will help tailor a solution, best fit to your needs. Shredder is a piece of equipment used for roughly shredding big pieces of waste/scrap material into smaller sizes prior to granulating process. Along with people’s increased conception of environment protection as well as the development of recycling technology, shredder plays a more and more important role in recycling process. Most localities have laws regarding how to transfer and dispose large volume of manufacturing, office and even household waste, and shredder helps related parties/companies meeting these regulations by reducing large sizes of waste into smaller sizes. Industrial shredders nowadays are used in wide range of applications including waste paper, tires(tyres), plastic, wooden scrap, e-waste, metallic scrap, hazardous waste, and even animal bones. These shredders basically are made of steel material and equipped with cutting shaft(s) inside the machine chamber for tearing up waste material. Categorized by number of cutting shaft, there are single-shaft shredder, double-shaft shredder, and four-shaft shredders. Single-shaft shredder, also known as single-rotor shredder, is equipped with one high-speed cutting rotor and also a horizontal hydraulic trolley to push material close to the cutting rotor for efficient shredding. Single-rotor shredder is quite a versatile shredding equipment and it is suitable for shredding almost all types of waste material and even whole bales of paper and plastic. 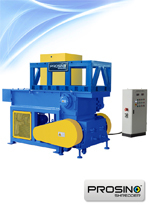 Double-shaft shredders are designed with two biting shafts, featuring with high torque, capable for shredding almost all types of soft, high-resilient and hollow wastes. Four-shaft shredder is built with four biting shafts in the machine chamber, and it is known as the most powerful shredding equipment that normally is used for shredding extremely stubborn material such as heavy truck tires, large plastic/metal drums etc. There is also a kind of shredder that is integrated with granulating/crushing function, which makes shredding and granulating process done in one machine. Such machine is very good choice for waste conversion plants. Nowadays shredder comes in different size and shapes to meet different demands and different scales of recycling. Please refer to our topic “HOW TO CHOOSE A SUITABLE SHREDDER” for some guideline to choose a proper shredder for your specific need. Shredder is a machine that is used for reducing the size of almost all kinds of material. In today’s manufacturing and disposal industries, shredder plays an important role in waste management and recycling processes. Shredding offers a multitude of benefits in addition to the most obvious – size reduction. For recyclable waste such as tires, metals, wood and plastic, after shredding and granulating they can be turned into raw material for manufacturing new products again. This greatly improves material recycling ratio (MRR), optimizes material usage and reduces waste in the environment & demand on natural resources. For non-recyclable products that are committed to landfills, on one hand, shredding makes greater compaction of non-bio-degradable materials, allowing disposal of more waste in less area, which greatly saves valuable landfill space. On the other hand, bio-degradable materials can also decompose faster after shredding. Besides above, shredders are also used for the destruction of confidential documents, prototype/models, discs, tapes, memory stick, hard drives and other data storage media to protect the privacy of individuals and corporate information. Waste collection centers, need shredders to reduce the size of solid waste material such as wooden waste (scrap furniture, wood pallet…), plastic purgings, plastic/metal drums, tyres, paper cores, etc, before transporting to waste conversion plants. That is, shredding helps reduce transportation and storage cost. Waste conversion plants use shredders for rough shredding to get smaller sizes of various types of waste, and then go for granulating process, as large pieces of waste cannot be directly granulated by granulating machine. For waste compacted in big bales, those plants use shredders to shred the whole bales into small scraps prior to granulating process. RDF (refuse derived fuel) processing facilities use shredders to shred waste combustible material into small pieces first and then compress the small scraps into uniform bales by a baler. Those bales thereafter are transported to certain places to be burnt to generate steam for electrical power. Tire recyclers use shredders to shred both car and truck tires into rubber scraps and those rubber scraps can be re-used in many ways. For example, it can be mixed with asphalt to build road; it can be converted into rubber powder to produce new tires and other rubber products; it can be used for making barriers to reduce collision. Some corporations, governments and households use shredders to destroy commercial documents and discs, to protect individual privacy and business secret. Where to buy a suitable shredder? Like most industrial equipment, shredders are manufactured by various specialized manufacturers around the world. Thanks to the development of internet and global trading, you are no longer..
Like most industrial equipment, shredders are manufactured by various specialized manufacturers around the world. Thanks to the development of internet and global trading, you are no longer restricted to buy a shredder from local suppliers but can buy it across countries and continents. Choosing a reliable supplier to buy the shredder will not only gives you least headache on machine performance but also ensure strong technical support in the whole lifetime of the shredder. In a word, buying a right machine from a right supplier is good guarantee of high ROI in your business. 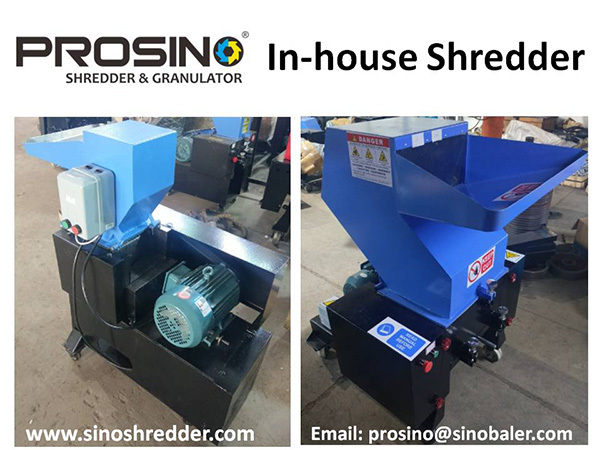 PROSINO Shredders are manufactured in China and its product range covers Single Shaft Shredder, Double Shaft Shredder, Four Shaft Shredder, Crusher, and Granulator. We offer various different types of rotors, knives and cutting technologies for shredding a variety of materials like plastic, wood, rubber, bones, paper and more. 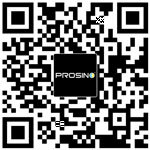 From choosing raw material to spare parts, from outer appearance design to internal structure, from welding to assembling process, all steps are under strict control of PROSINO team. All our shredders comply with European standard in both mechanical parts and electric system with a CE Certificate granted. You can rest assured of the machine performance and operation safety by choosing PROSINO shredders. Our team well understand that for buyers this is not only a simple purchase but an investment, so we are working very seriously to build reliable machines that are durable, less maintenance and easy to operate. Besides manufacturing quality, after sales service is also an important point to be considered when buying a shredder. Each PROSINO shredder is shipped with clear and concise instructions on operation, maintenance and trouble shooting. 13-month warranty is provided starting from the shipping date along with lifetime technical support. We are readily available via phone, e-mail, and even videoconferencing to help walk you through any troubles, even if we are thousands of miles away. How to choose a suitable shredder? With answers to these questions, if you are still not sure which shredder to go for, contact PROSINO SHREDDER team freely to get a most suitable shredding solution.